Discussion in 'Lets Talk about gambling and more...' started by Marina, Jan 18, 2015. Unfortunately, some countries seem to be behind on the times. Rather than creating safe places for people to place wagers, or regulating betting venues to ensure integrity, they ban it. Of course, as history shows, this is totally ineffective. While most jurisdictions focus on penalties for the casino operator or betting hall, others target the individual players. If you’re based in an area that permits gambling, but sometimes travel to other countries, it’s a good idea to become familiar with the local laws. permitted in your exact location. A few areas with known policy are detailed below. Bangladesh- Horseracing and some other contests involving prizes are permitted, but most other forms can result in one month of imprisonment and a fine of 100 taka. penalty of a better, which is up to six months in prison and a 10,000 dollar fine. Pakistan- Only bets on horseracing are allowed. All other forms of gambling may carry a 1,000 Pakistani-Rupee fine and a penalty of a year in prison. UAE- Although some exceptions are made for poker and for sportsbetting, such as on horse or camel races, all other forms of gambling are illegal. Even though most betting websites are not blocked within the region, those who are caught using them can be imprisoned for up to two years and be fined as much as 20,000 dirhams. It’s always a wise idea to double check local laws if you’re visiting anywhere in Asia. Although some countries have clear guidelines, others have surprising ones. For instance, in Thailand, it’s illegal to even possess a deck of playing cards. Some of the better-defined laws are listed below. someone who makes a living from it can be imprisoned for up to three years and be fined an undefined sum. Hong Kong- There are only a few types of gabling permitted and it’s generally only allowed under certain circumstances. Those found guilty of illegal gambling may receive up to a 30,000-dollar fine and 9 months in prison. you might be fined as much as 80,000 dollars and be imprisoned for three years. Korea- Not only is betting banned in Korea, but Koreans are not allowed to gamble anywhere, ever. The penalty either way is the same, which can include 3 years in prison or a fine of as much as 20 million won. Malaysia- There is only one casino in Malaysia where gambling is allowed. Outside of that, there may be a fine of 5,000 ringgit and a sentence of up to six months. Singapore - There are only two betting venues that provide legal gambling opportunities in Singapore. Even online betting from another establishment can result in a 5,000 Singaporean-dollar fine and up to six months in prison. the police may confiscate all money on site and fine you as much as 3000 yuan, plus violators may spend as much as 3 years in prison. you may be fined up to 30 million dong. However, it also comes with a minimum prison sentence of three years, but you could receive as many as seven. Many other areas allow gambling, in its entirety, provided it’s done at a lawful, regulated establishment. While Canada and the United States still have tighter restrictions on online gambling, the other countries detailed below are fairly lenient. 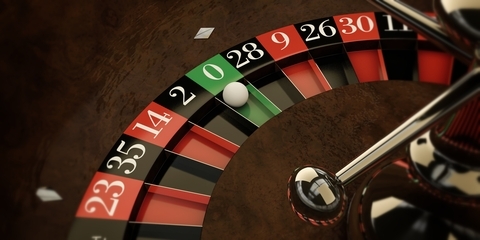 Laws throughout the world are continually changing, so if you travel and wish to gamble, always make sure you’ve checked the most recent gambling regulations. queenmap, Seaman63, Mike and 1 other person like this. Very interesting to read how things are in other countries.